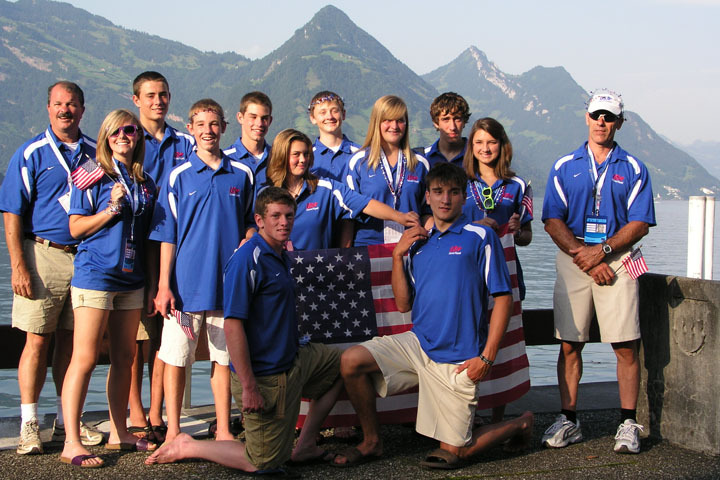 The Junior Wildwater Team had a successful trip to Buochs Switzerland for the 2009 Junior Wildwater World Championships. Most notable is Peter Lutter from Bethesda Maryland. 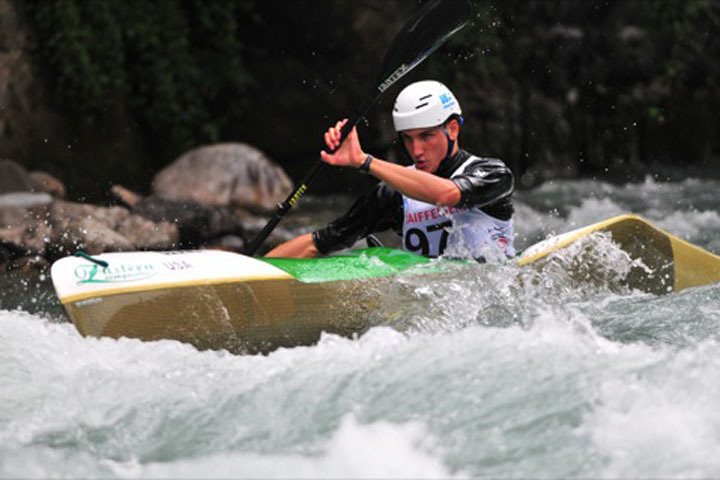 Peter finished 19th in the Classic Race, and 9th in the Sprint Race in a field of 54 of the best junior kayakers in the world. During the events Peter’s name stood atop the leader board for a long time which garnered excitement from the US contingent and other teams as well. All the US paddlers performed well. It is a great challenge to travel to another continent, another time zone, and another river which you have never seen; then perform at your highest level for five or six consecutive days. The US Team did just that. In three practice days and four days of racing the entire group continued to get faster each day. The Classic Individual race opened the competition on Wednesday July 15. The course was well suited for ‘sprinter’ type athletes with moderate whitewater and long stretches of wave trains. Thursday the Team Classic event was contested, and Friday the Team Sprint event was held. Throughout the competition it was clear the US team was adjusting to the time change, and more important was the adjustment to race strategy necessary for success on the Englebergeraa River. Saturday, the last day of competition, saw rain and cold temperatures. It might have been easier to view it as the get-away-day and blame poor weather as a culprit for not wanting to get out on the river. However, with the constant coaching and push from Mauricio Tognacci to take every advantage of the trip to learn, to stretch yourself to see what you can do, and to be proud of your race, every US paddler had a good day. All eleven US team members had a solid first run and a faster second run in the Sprint event. The whole team completed the day feeling that they had performed well. Thanks are also in order for Tom Popp who was a Team Staff member and his daily support for the team members in logistics and start preparation; as well as parents who traveled to support the team. The US team was the fourth largest contingent in size of team and support. Several compliments were made about the quality and size of our team this year. In addition to a busy competition schedule, the team enjoyed an enjoyable week with a social event hosted by the organizing committee that included an Alpine Slide run, cow milking, and traditional Swiss farm games. We also had a morning outing to the top of Stanserhorn for a panoramic view of the central Alps. The Swiss organized housing for all athletes at a military base with modern dormitories. The base became a sort of athlete’s village with shared housing, meals, and plenty of time for meeting and talking with others. This was definitely one of the best organized and most well rounded experiences for the junior team in recent years. There are thousands of photos available to view online, as well as short videos of the winners in each class. There are five different photographer listings, and each has more than a thousand photos to view. An index to all results is available at jwwc2009.com/cms/front_content.php?idcat=71. Click on the link for a specific race and you will see a pdf file with the results for that race.